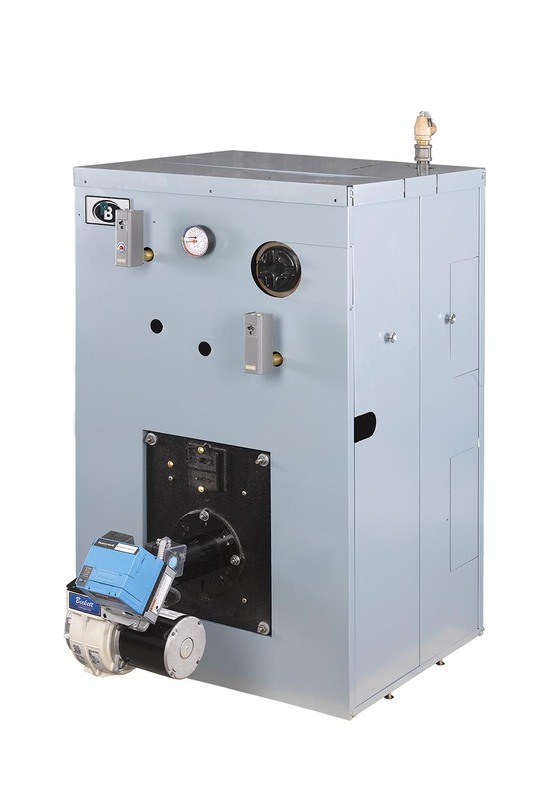 The Series CC™ cast iron steam or hot water commercial boiler features an efficient power burner that is capable of firing gas, oil or combination gas/oil configurations with thermal efficiencies of up to 84.6%. The boiler is perfect for applications where both domestic hot water and space heating are required. Available in 10 sizes ranging from 375 MBH to 2,165 MBH, the boiler has domestic hot water outputs of 8.5 to 26.9 GPM. The CC boiler is designed to provide years of dependable and efficient operation. Net Ratings are based on an allowance of 1.15 for Water Boilers. 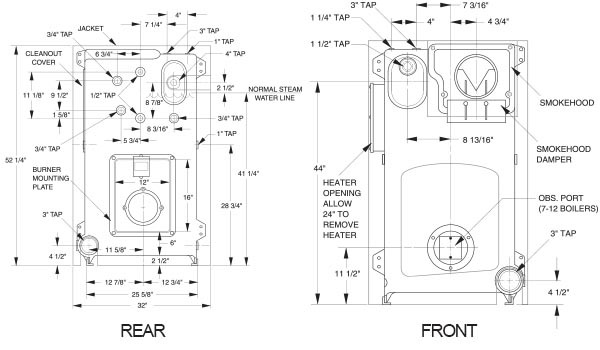 Net Ratings for steam boilers are based on a pick-up factor of 1.333. 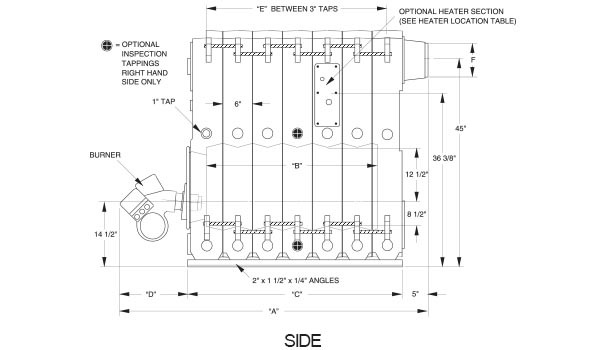 Burner oil input based on Commercial Standard #2 fuel oil with a heating value of 140,000 BTU/Gal. Burner natural gas input based on natural gas with heating value of 1,000 BTU/Cu. Ft. and a specific gravity of 0.60.